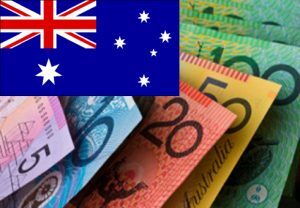 Australian Dollar was impacted by news that US Presidential Democrat nominee Hillary Clinton had been cleared of criminal activity in regard to her usage of a private email server. This was despite a disappointing Australian construction index score for October from AiG –which came in at 45.9 during Monday’s Asian session. New Zealand Dollar (NZD) – The Pound to New Zealand Dollar exchange rate saw similar movement to GBP/AUD on Monday morning. The New Zealand Dollar was able to easily push down a limp Sterling thanks to an increase in risk-sentiment, caused by an increase in bets that ‘status quo’ Presidential candidate Clinton was more likely to take the Presidency in Tuesday’s US election. However, GBP/NZD’s losses were slightly limited as markets preferred other risky currencies to the ‘Kiwi’. With the Reserve Bank of New Zealand (RBNZ) heavily expected to be cutting interest rates in this week’s policy decision, New Zealand Dollar demand is likely to be muted in the coming days. Pound Sterling (GBP) – Sterling slipped in Monday trading as the Brexit-worn currency began to look unappealing in comparison to other currencies with more short to long-term upside risks. Investors rapidly readjusted their positions on the currency and its rivals ahead of this week’s key trade session, which includes the 2016 US Presidential election. After last week’s surge in Sterling demand, which saw the currency experience its best trade week since July, investors also began to question whether or not the High Court’s decision would really delay or impact the activation of Article 50. The UK government is due to announce its action against the ruling. It is widely expected that it will challenge the decision to force an MP vote on Article 50 and claim that it should be the UK government’s choice only. US Dollar (USD) – The Pound to US Dollar exchange rate plunged on Monday, quickly shedding some of last week’s GBP gains as market volatility increased ahead of Tuesday’s US Presidential election. Over the weekend, concern towards the outcome of the election continued with Democrat Hillary Clinton and Republican Donald Trump’s polling figures still considerably closer than they had been a week earlier. However, the drop in Clinton support slowed. This, as well as Sunday’s news from the FBI that their re-opening of the Clinton email server case had not led to any criminal conclusions about Clinton’s activity, gave markets an appetite for the US Dollar as well as risky currencies on Monday morning. If ‘status quo’ candidate Clinton wins Tuesday’s election (results may not be finalised until late Wednesday), US markets could quickly return to calm, which would see USD volatility cool again. Euro (EUR) – The Pound to Euro exchange rate slipped slightly on Monday morning after seeing its best performance in quite some time last week. Despite solid market sentiment towards the Euro following recent solid Eurozone ecostats, the shared currency slumped on Monday as global markets instead focused on the US election and US-related markets. This caused volatility between ‘safe haven’ investments and riskier ones and left the Euro limp. As a result, GBP/EUR was able to hold above levels of key psychological support despite slipping from its best rate. Canadian Dollar (CAD) – The Pound to Canadian Dollar exchange rate opened the European session trading lower as the ‘Loonie’ Dollar was bolstered both by higher demand for risky currencies and a slight boost in oil price confidence. Prices of Canada’s most lucrative commodity had been falling for over a week due to higher oil stocks and lower hopes that OPEC’s plan to put a cap on output would actually improve oil prices. On Monday however, news that OPEC had reaffirmed its plans to cut output gave the commodity some support and prices improved by over 1%.